The first week and a half of January is in the books. How are those resolutions going? I hope you’re doing better than I am! I haven’t even had a chance to look over the list I made last month let alone start making any changes! But it’s still the first half of January and I do have some resolutions, which is a step in the right direction. I also have a one word, which I’m pretty excited about. Resolutions are one of those things that you have to be very deliberate with – you’re either all in or nothing is going to change. And everyone’s approach to lifestyle change is different. Some people make detailed lists while others keep a mental tickler file of the things they’d like to accomplish if they get around to it. I fall into the list-maker camp. But I have been guilty of losing track of and not staying on task. After a while the list just looks like a bunch of unrelated to-dos that I somehow have to squeeze into my schedule. I end up losing interest or getting frustrated with my lack of discipline. Here’s where I’ve discovered have one word comes in handy! What is a One Word? 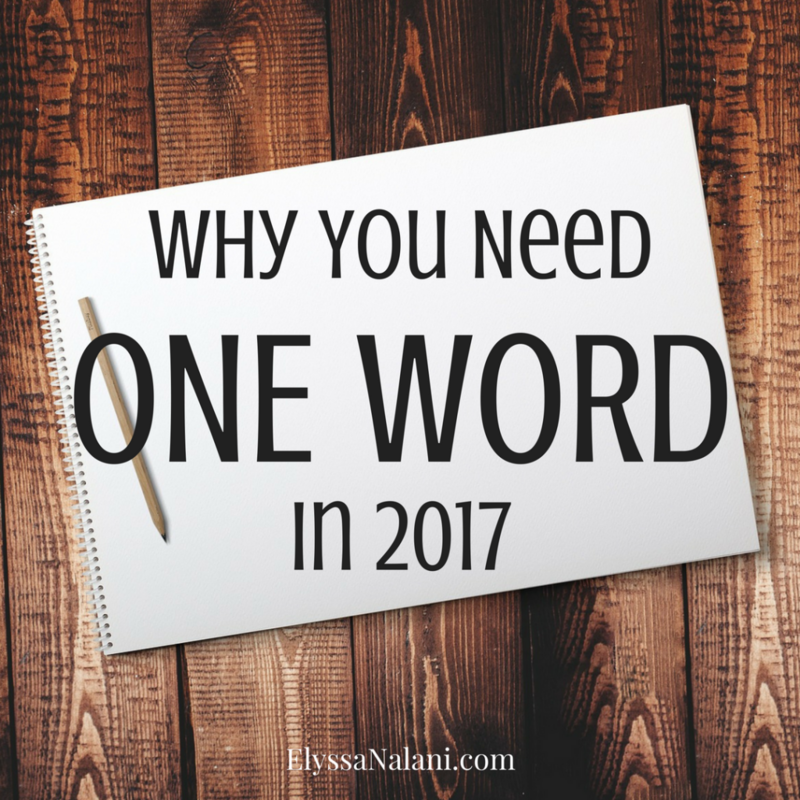 A one word or a word of the year or focus word, as I call it, is just as it sounds – a word you focus on for a year. It acts like a target, the point you’re aiming for. It’s not so much about to-dos anymore, it’s more about lifestyle. From this word, you filter your decisions about and responses to the various things that come into your life. 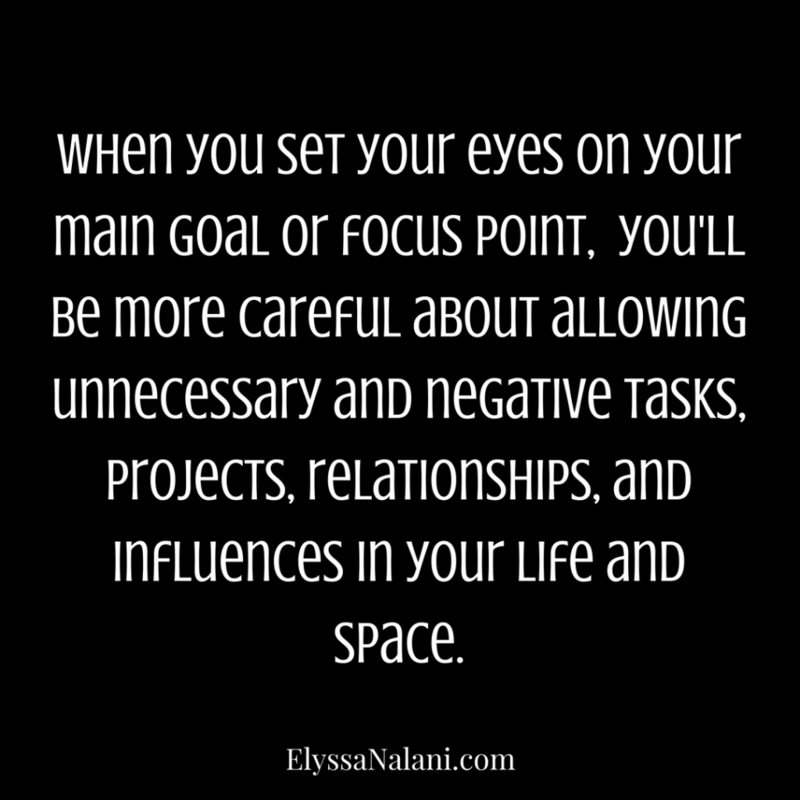 When you set your eyes on your main goal or focus point, you’ll be more careful about allowing unnecessary and negative tasks, projects, relationships, and influences in your life and space. It’s a great way to exercise intentionality while dealing with the busyness of life. 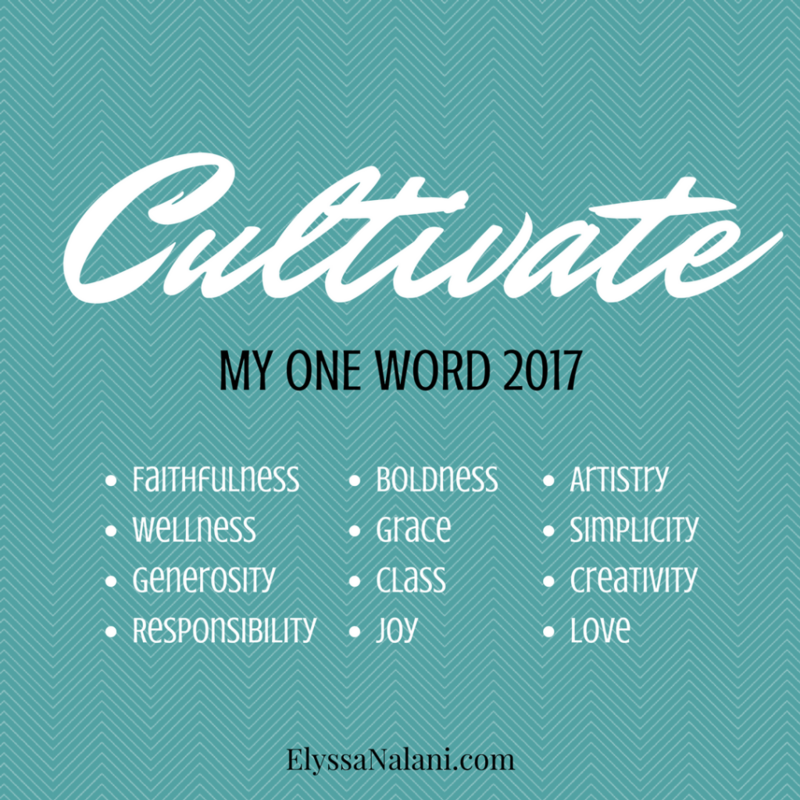 My one word for 2017 is CULTIVATE. I really want to focus on growth and maturity this year as I walk through my first year of marriage. There are several areas in my life that I want to work on and the thought of cultivation makes me feel like it’s more about the learning process rather than needing everything to happen on some kind of strict schedule of constant perfect improvement. I want to balance real life with high standards and reasonable expectations. 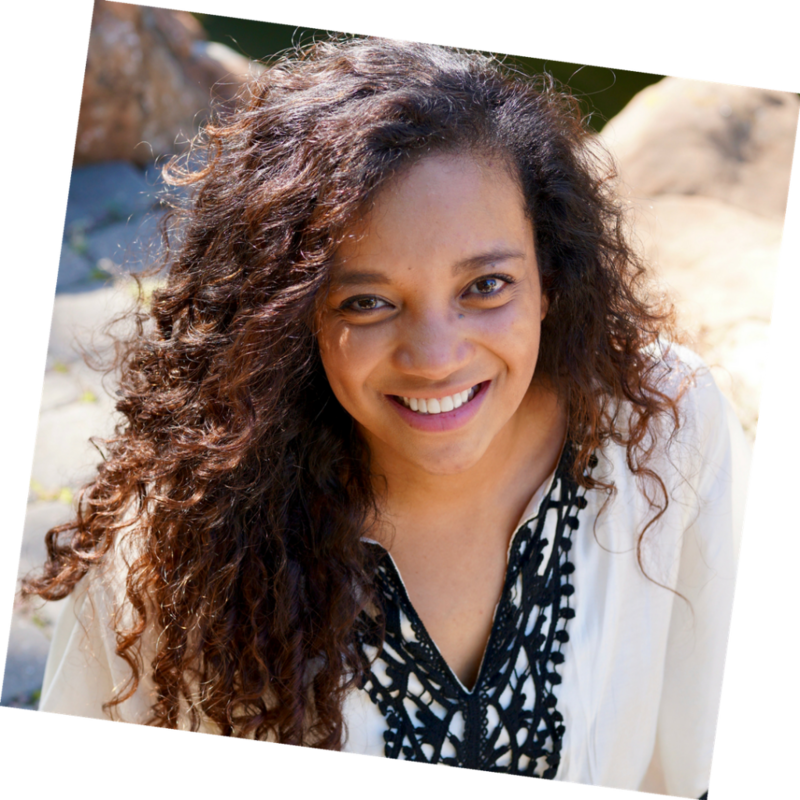 After choosing my word, I listed the specific areas of my life I wanted the word to impact.